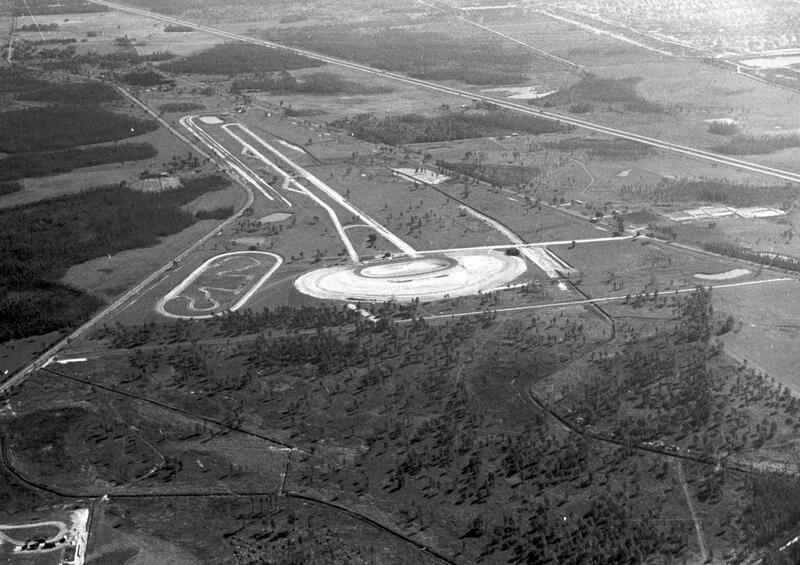 The USA International Speedway was an oval located near Lakeland, Florida. The track was a ¾-mile-long concrete paved oval with 14° banked turns. The facility was located next to the Lakeland Motorsports Park dragstrip. The track opened in October of 1995. A paved road course operated here briefly in 1998. This was the site of the Lakeland Interstate Raceway, which operated a 1/4 mile paved oval from 1971 to 1977 and from 1987 to February 1995, and operated a 5/8 mile paved oval from April 16th, 1971 through 1977. 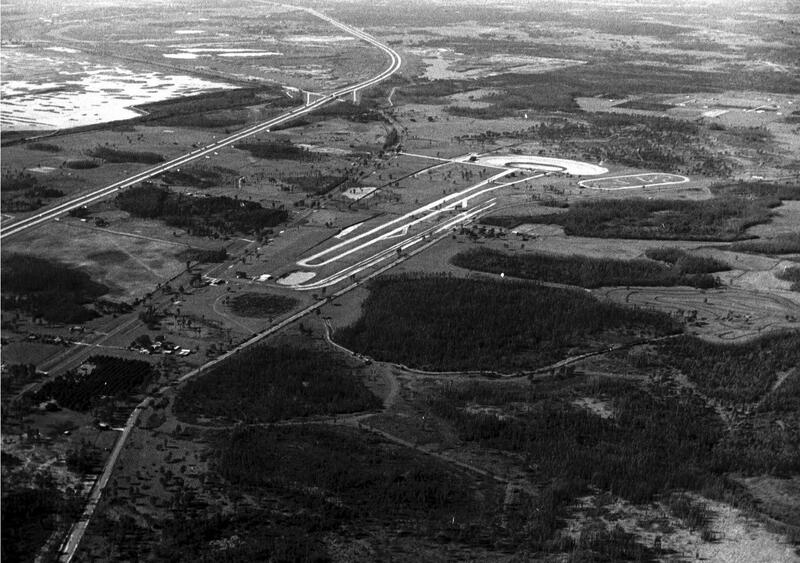 Lakeland Interstate Raceway also operated as Lakeland Interstate Speedway and Florida International Raceway. 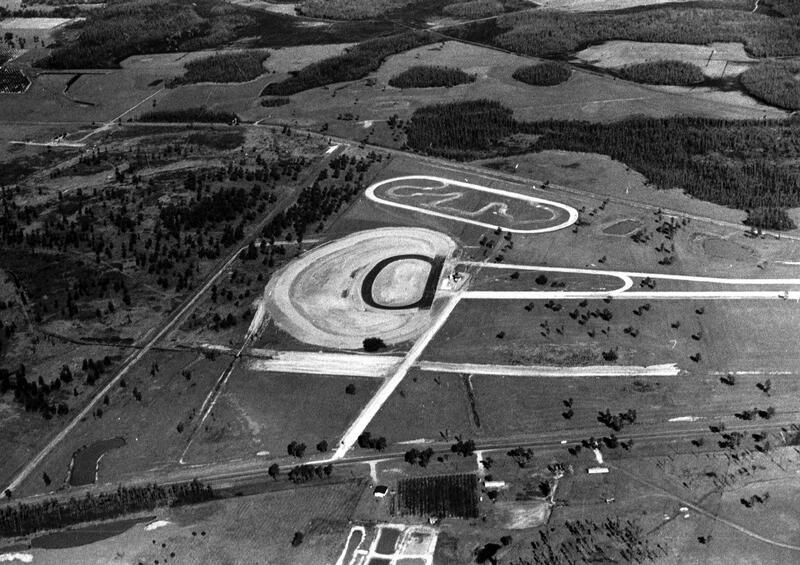 Nestled on Old Polk City Road just off Interstate 4, the track opened in 1995 with camping amenities, aluminum grandstands and lighting comparable to many NASCAR tracks. It hosted races for the Auto Racing Club of America (ARCA), American Speed Association and the season opener and finale for the Hooters Pro Cup Series. According to the Polk County Property Appraiser’s Web site, the speedway was bought in May 2007 by USA International Speedway Holdings, LLC, which is based out of Clearwater, for $6.2 million. The Track sat on 47 acres and the bulk of the land is zoned for medium industrial and business park space.The owners are seeking zoning changes to the rest of the land to industrial.The track officially closed in August of 2008. Above is google view showing the location of the drag strip and road courses. Strange this track should come up , when i left Colorado , i moved to Florida - not far from USA International . In fact , my wife had a surprise birthday party for me at USA during one of the legs of the Florida Triple Crown . The 3/4 mile track was conceived as a place to showcase the Hooters Cup Stock Car Series . Hooters' owner Bob Brooks , along with some investors , owned the track . 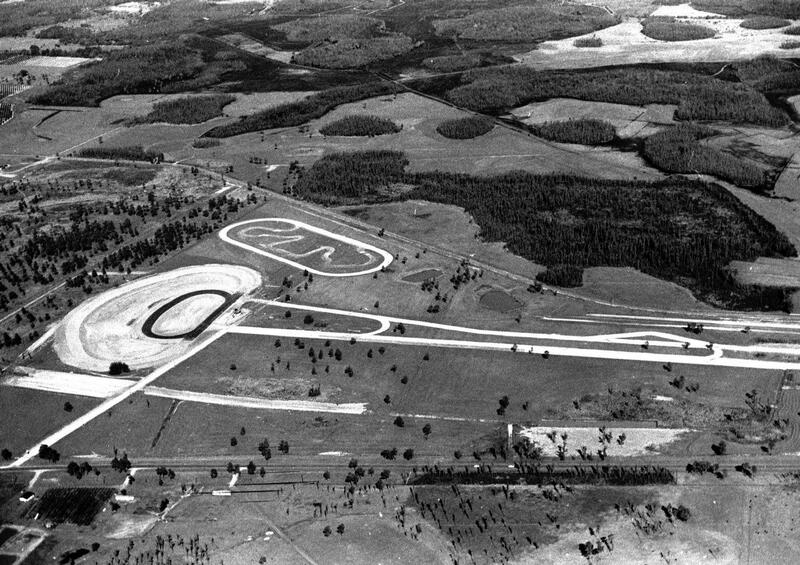 The aerial photo shows a road course that was used for motocross , and an 1/8 mile drag strip that was not part of the complex , it has a different owner and is still operating . Mr Brooks ended up selling the race track to a local racer named Tony Amico in about 2007 . The track was then sold to a developer who planned to bulldoze it and build warehouses . That idea fell through and the track is currently for sale . Sadly though , it is way beyond being used as a race track again . Everything was auctioned off , the lights , the fencing , the bleachers ( which ended up at Rockingham ) the buildings , the equipment , everything . All thats left is the track surface and the concrete elevator shaft for the suites . Virtually every NASCAR team tested there , Trucks , Nationwide , Cup . NEVER A FAILURE IN LIFE, UNLESS YOU FAIL TO GET BACK UP.........EVEL KNEIVEL. there is still hope for someone, or a group of someones to get it back and running. I lived in Florida back in the 70's and seen Jim Linder win a sprint car race on the big track. Then in the 80's, a buddy and I raced on the 1/4 mile. Lots of good memories of that place. They also had a 1/4 mile drag strip back in the 70's, adjacent to the ovals. Went by the place just last week, and yes, sadly, it is a meadow of green weeds, flat as a board. I saw it as an old 5/8 miler, with a 1/4 miler inside of it, raced on friday nights, with Roby Helm as the announcer. That got plowed under to make way for the ultra-modern USA International Speedway on top of it. I saw it's very first race, it's last race, and years of shows in between. Off of the back road now sits, in the meadow of green weeds, are 3 huge piles; one pile of chewed up asphalt, one pile of lime rock, and one pile of dirt-----the racing surface, the sub base, and the banking. Nothing but a breeze and silence. So sad. Anything designed to showcase Hooters should never fail. the lights and poles are in the new smyrna speedway parking lot, been laying on the ground for a couple of years now. don't know when they are going up. 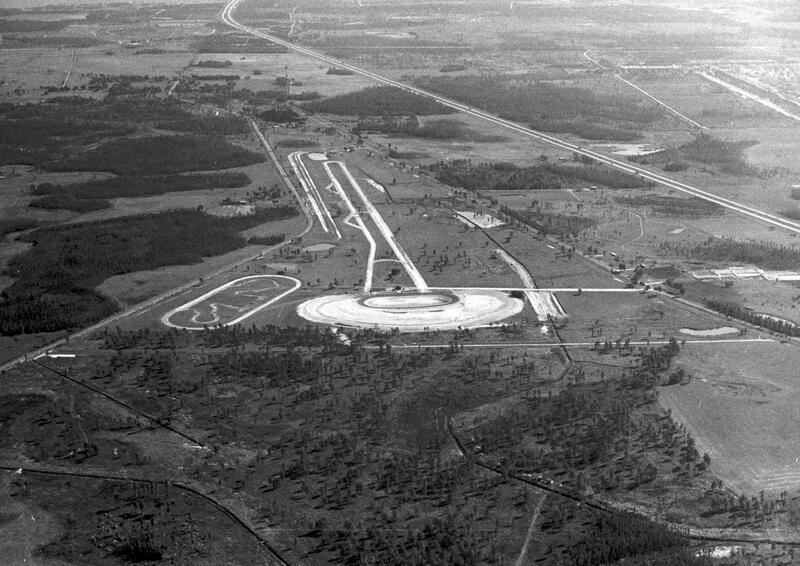 Here are some aerials taken during construction of the original facility from the late 1960s. I have some vague memories of my dad racing there in the mid 1970s both at the oval and the drag strip. It was closed mostly from the mid 70s to late 80s when Don Nerone and his group purchased the oval and resumed racing on the 1/4 mile oval from 1987 to 1994. I spent most of my Friday nights there during that time. Ever since I obtained these photos, I've been puzzled by one thing, the "third" oval in the back. I was never aware of existence. No one I've talked to knew it existed either. My earliest memories don't include that portion of the property (I was only 4 or 5 years old). By the time I was there on a regular basis (after age 16), that portion of the property was used as pit area and there was no evidence of a track having been there. The pit access road ran right through the eastern portion of it. I'm hoping someone will see these one day and be able to tell me about that track.